3.1 1st party - "Let's drive together?" 3.2 2nd party - "Old sister is our hero"
3.3 3rd party - "Even though I will die tomorrow, I want to have love like it is a disease"
3.4 4th party - "There are lots of stories I want to tell"
Aliens that are aware of the end of the world visit 4 humans having birthday parties. Their birthday is the day before the end of the world. 1st party - "Let's drive together?" Lee Han-Na (Kim So-Hee) is a 16-year-old girl and she needs friends. 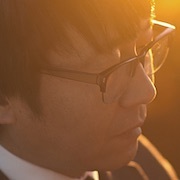 A mysterious man (Kim Sung-Kyun) lives next door. 2nd party - "Old sister is our hero"
Park Mi-Syun (Lee Joo-Young) has a free spirit & Ko Soo-Min (Jang Young-Nam) is a housewife. Ko Soo-Min is sick and tired of her husband and taking care of her kids. She needs release. 3rd party - "Even though I will die tomorrow, I want to have love like it is a disease"
A female university student (Song Ye-Eun) doesn't have much time left to live because of an incurable disease. 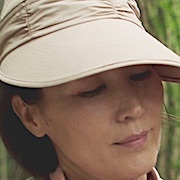 Jeon Ui-Moo (Kim Hak-Sun) is a mama's boy. He is a professor and needs romance. 4th party - "There are lots of stories I want to tell"
A yogurt saleswoman (Lee Hye-Young) is a big fan of films. 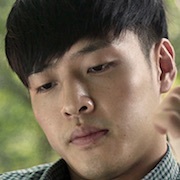 Lee Kwi-Dong (Kang Ha-Neul) is a movie director. He has not made a movie in 10 years and needs an idea to make a movie.